This arrived at our house just in time a mini stomach bug epidemic. 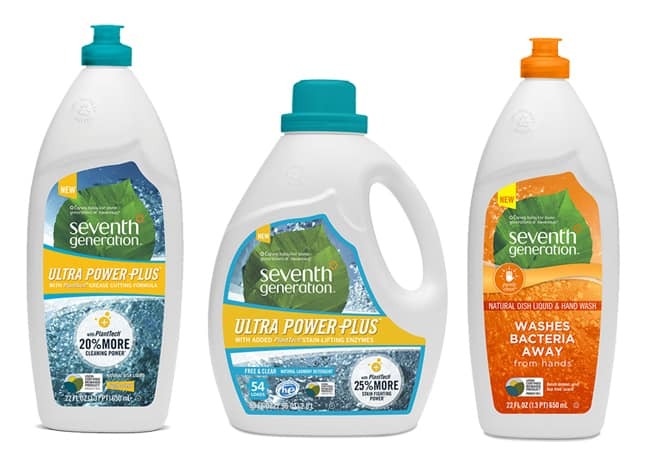 Not sure what these kids do at school to share so many germs, but we were able to neutralize them pretty quickly after running a few loads of laundry with Seventh Generation’s detergent with PlantTech. There are 25% more enzymes in the PlantTech products, and the enzymes in PlantTech are the key to cleaning clothes and pulling stains out of fabric. Enzymes…who knew? Now that we know about enzymes, the benefits of the micro-scrubbing are even more impressive. The PlantTech technology contains essential oils, so dishes come out of the dishwasher clean and smelling good. Same PlantTech benefits as the 2 products above, but now for items too delicate for the dish washer. 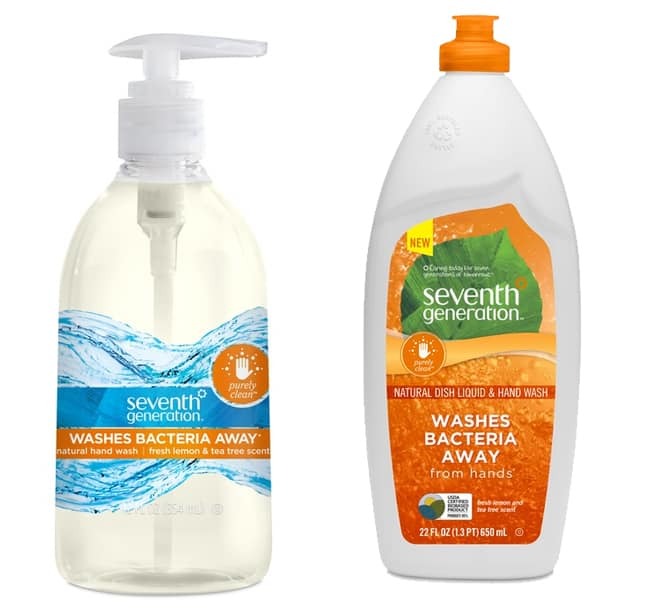 These hand washes are effective while smelling great. And the re-usable bottles look so good with their bright flowers that for once I’m not tempted to pour the soap into a “decorative” container. 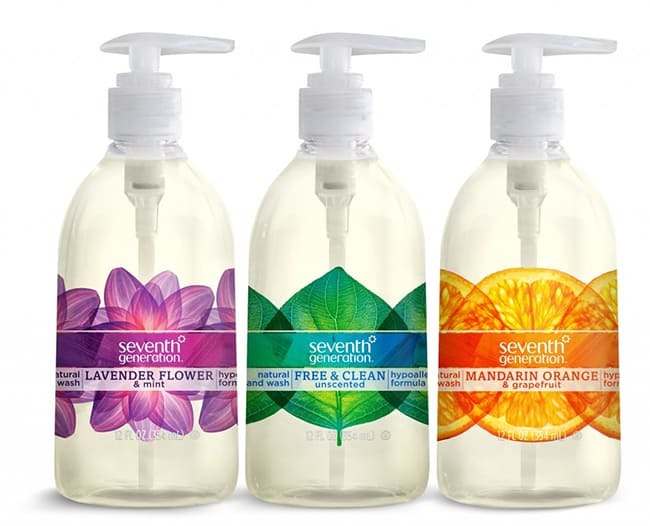 I just washed my hands with this and they smell great. Using natural tea tree and lemon is a great way to rid your hands of bacteria. Oh, it’s also tough on grease, so use it to clean your dishes, too. Stock up on sponges and enough energy bars to get your house or apartment ready for the big party.